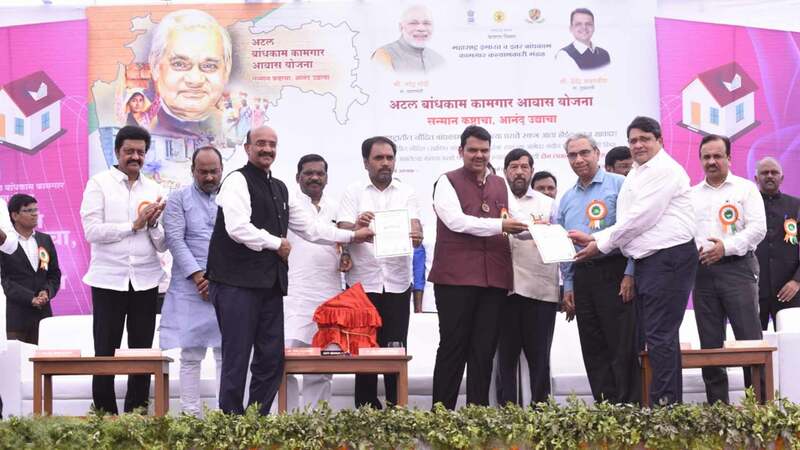 Mega Labour Event of distribution of welfare benefits to registered beneficiaries under BOCW was conducted at Agriculture College Ground, Sinchannagar on Tuesday, 19th Feb, 2019 at the hands of Shri.Devendraji Fadnavis, Hon’ble Chief Minister, Govt. of Maharashtra. 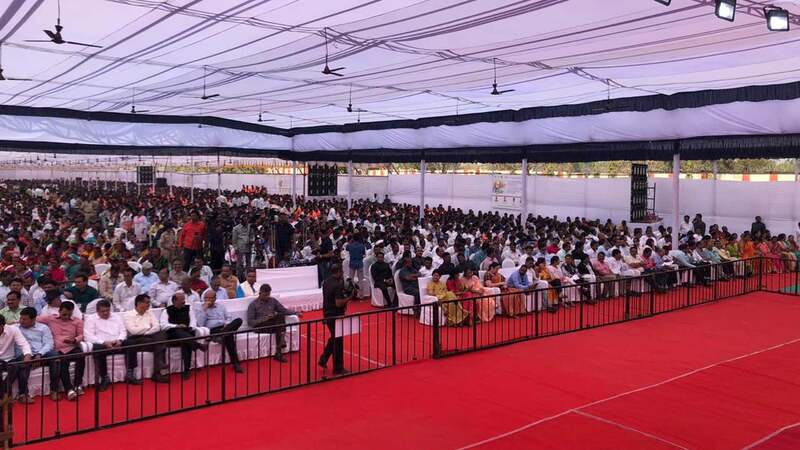 There was overwhelming response and more than 11000 labourers from various builders/developers and other sectors attended this event. The other main Guest for this program invited are Shri.Sambhaji Patil Nilengekar, Hon’ble Labour and Skill Development Minister, Shri. Girishji Bapat, Hon’ble Food, Civil Supplies & Guardian Minister, Mr. Anil Shirole, Sanjay Patil, Members of Parliament, Shri.Rajesh Kumar,Principal Secretary, Labour Department, Shri.Omprakash Yadav, Chairman BOCW Board, Shri. Rajeev Jadhav, Labour Commissioner, Govt. of Maharashtra and other dignitaries from Govt. Department and Shri. Satish Magar, CREDAI-National President Elect, Shri. Shrikant Paranjape, President CREDAI- Pune Metro, Shri..Suhas Merchant, Shri.Ranjit Naiknavare, Shri. J.P.Shroff from Builder Community, Members of Labour Welfare Committee and CREDAI-Pune Metro Officials. 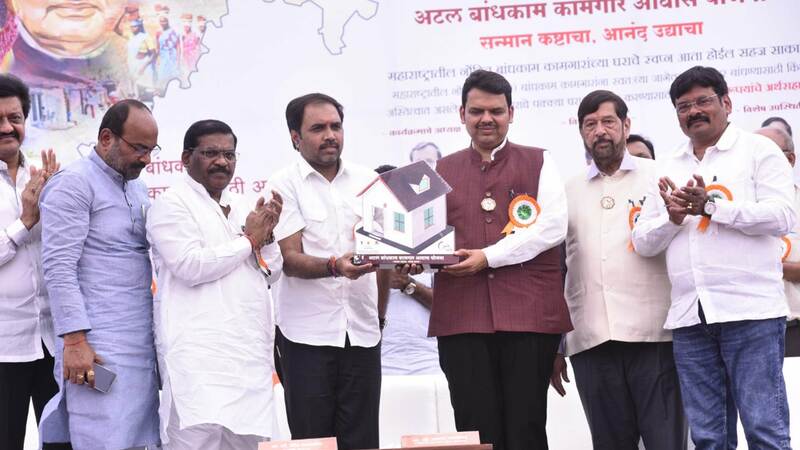 Shri.Devendraji Fadnavis, Chief Minister of Maharashtra inaugurated the Atal Bandhkam Awas Yojana and handed over the cheque of Rs.104 Crores to Rural Development Department as first instalment towards construction of houses. 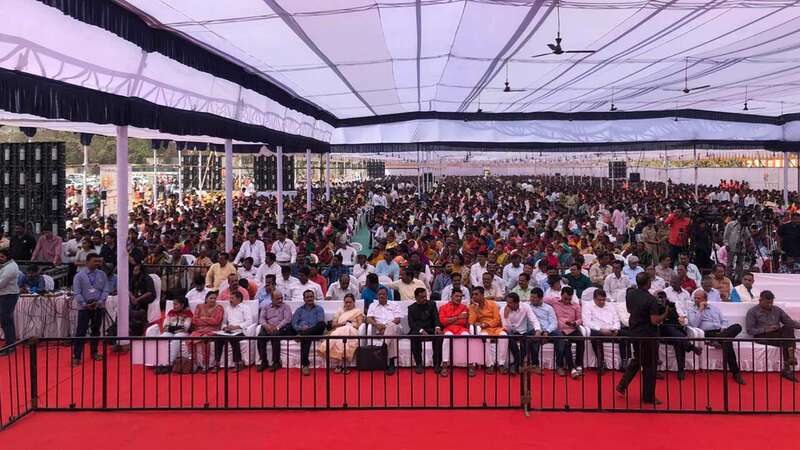 He in his speech informed that “ within 2-3 years span every worker in Maharashtra will be having his own house and Govt. of Maharashtra will work actively for fulfillment of this dream. In conjunction with benefit from Pradhan Mantri Awas Yojana , BOCW Board is also providing Rs. 2 Lakhs to registered labour for construction of “Pakka”House in rural areas. Till date almost 12 lakhs labourers are registered in Maharashtra and our objective is to register at least 25 lakh. We are also through BOCW Board providing Insurance Coverage, Pension Scheme, Medical Assistance, and Education Schemes for the children of registered labourers etc. We have also launched midterm lunch Scheme for labourers”. Hon’ble Chief Minister distributed the welfare benefits to the prospective registered labours reg. various schemes including Housing, Medical, Education, Social Security etc. 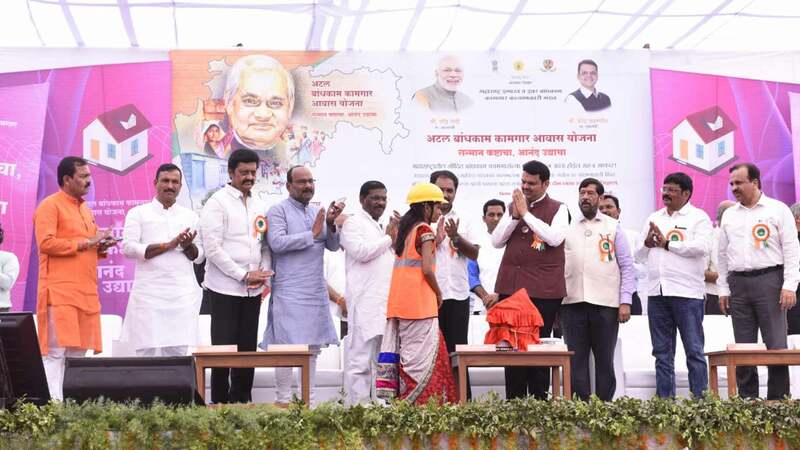 He further briefed that almost 500 Master Trainers will be trained all over Maharashtra as per the agreement between CREDAI- Maharashtra and Maha RERA and accordingly Skill Development & Enhancement Training will be provided to more than 10 Lakh workers all over the Maharashtra. Due to this training, there will be considerable rise in the wages of labour. This is very appreciating aspect as far as CREDAI- Maharashtra initiative is concerned. CREDAI-Pune Metro through Labour Welfare Committee has supported this event. 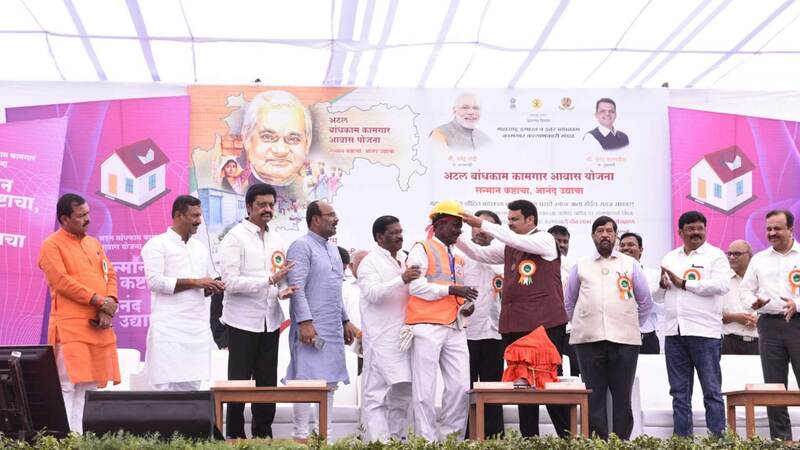 The program of distribution of Safety and Essential Kits to more than 2000 labourers has been initiated. This initiative of Labour Department is really a trend setting one for welfare of the constructions workers and will definitely going to boost the movement reg. Labour Registration and Awareness regarding various benefits under BOCW Act in Maharashtra State.